Macau has the latest attractions, the Ice Gallery and the Panda Center. Ice Gallery is like a city made ​​of ice. Both began to open early 2011. This was revealed by Maureen E Budiman as General Manager of Macau Government Tourist Office Representative in Indonesia, on Friday (01/04/2011) at JCC, Jakarta. "Panda Center like panda conservation center in Coloane Island. There will be five pandas from China," he said. He says, visitors can see first hand the panda-panda, let alone where he made ​​like the original habitat. Maureen added that there is a new hotel in Macau, namely Galaxy Macau Hotel. Uniquely, Maureen continued, until the designer of the hotel owners are Asians. "It will open May 15 this year. Then there's the white sand and artificial waves in the pool area. So, like on the beach alone," he said. 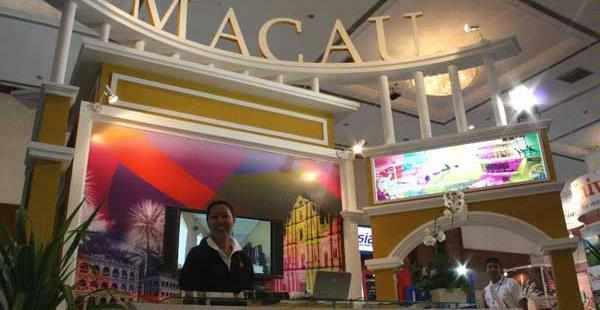 According to Maureen, Indonesia in the field of tourism market Macau entry in the top 10. "The number of visits from Indonesia up to 210,000 people in 2010," he said. Although there are no direct flights to Macau, plus Maureen, his incentive to promote the belief by many a tourist attraction in Macau.